Q. If my child is not getting child support, can I apply to the Court? A. The Child Support Act 1991 has made the Court unavailable for most disputes about the financial needs of children of separated parents. The first question to ask is whether your child still falls within scope of the Act. In a nutshell, if you do not get child benefit any longer, it may be that the Court can help if your child is in education. This can be very useful through University. Secondly, the Act does not apply if your child is registered disabled, in which case a top up specific to those needs can be sought. Interestingly, there is no upper age limit for disabled children to seek financial support. If the paying parent is very wealthy, the Court can be used to top up above child support limits. Q: If the Court cannot help, how do I obtain child support for my child? If you cannot agree, a solicitor can help negotiate a settlement and address any other issues arising from your separation. It may be finances in divorce need to be settled or there are legal issues arising from separation that could be put into a separation agreement by an appropriately qualified solicitor. This option may be more common now that CMAC are discouraging people from using their collection service and there is an assessment charge. If agreement cannot be achieved within your reasonable budgetary limits for the instruction of a solicitor, you can request an assessment by CMAC/ CSA. This can be done online. The earlier the better, as there is backdating to the date of requesting the assessment. Q: What is child support and how is it assessed? A: It is a payment by the parent not caring for a child full time, assessed against their income. This has inherent problems if your ex is self employed or paid through a limited company or off shore. You should check what income the agency has taken into account if assessed by them. If concerned, you can seek review by the agency, but will need proof of other sources of income, including evidence of a lifestyle inconsistent with the declared income. The assessment is based on gross income. The amount assessed depends on the number of children. For one child, 12% of income; two children, 16% and 18% for more than two. The easiest way to check it is correct is to use the calculator mentioned above. Q: What if I want something more substantial than an income payment for my child? A: The financial needs of children of separated parents other than income can be provided for by The Children Act 1989 s15 and Sch 1, gives the Court jurisdiction to make a range of orders for the benefit of children. This includes the making of orders creating a trust to purchase a house. The financial worth of the house belongs to the payer, when the child no longer needs it. Note please that a disabled child may always need it. The court can make orders for a lump sum if needed for child related matters. The Court looks at all the circumstances with reference to a specific list mentioned in the statute. Such orders are always available regardless of the Child Support Act, if the circumstances justify it. The receiving parent acts in the position of a trustee. Of course, you may have your own legal entitlements arising from the relationship or marriage, about which a solicitor should advise you. Q: What can I do about the fact my ex is represented and I cannot afford a solicitor? A: If you have made reasonable enquiries about financial support from other sources and perhaps your ex is not responding to early correspondence from a solicitor at a fixed fee, you could seek a legal services order to support the claim at Court. The order will provide a fund to pay future legal costs to an expressed stage in the case, paid by your ex. 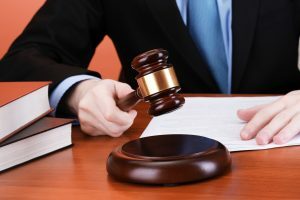 The court, for example, may order a fund until a dispute resolution hearing when it will seek to oversee an agreement before trial is needed. These are costly applications and alternative sources of finance may be a better option. Cost / benefit is only sensible when considering any Court case. The Court retains a discretion to order costs against either party, often with reference to awkward or inappropriate conduct through the case. In suitable cases the Court may order the other parent to pay a lump sum that will fund costs of other Sch1 applications that will benefit the child. For more information, please telephone us on 01606872200, e-mail our Family Law Solicitor, Michael Brennan at michael.brennan@stonehewermoss.co.uk or alternatively, you can visit our website at www.stonehewermoss.co.uk. Stonehewer Moss, your Family Law Specialists in Cheshire. This article was added on Tuesday, October 27th, 2015 at 10:07 am and is categorised under Child arrangements, cohabitation disputes, Divorce, Family finances, Family Law, General News. Both comments and pings are currently closed. Error: Error validating access token: Session has expired on Saturday, 09-Mar-19 13:12:58 PST. The current time is Thursday, 25-Apr-19 21:48:38 PDT.